The number of deaths following a fire on the Norman Atlantic ferry off Corfu has risen to 10, as the evacuation of all those on board ended. One man was killed when trying to escape the ship, and a further nine bodies have since been found. It is not clear if others are still missing. The Italian authorities said they could not verify the actual number of people originally on board. Rescuers are still searching the vessel. The company operating the journey from the Greek city of Patras to Ancona in Italy said a total of 478 people had been on the ship when it left. Italian Transport Minister Maurizio Lupi said that only 427 had been accounted for so far, but added that it was the responsibility of the port of departure to verify actual passenger numbers. “That is why we are continuing our [search] effort: we cannot know what the exact number was,” he said. Norman Atlantic captain was the last to be rescued, more than 36 hours after sending out a distress signal. 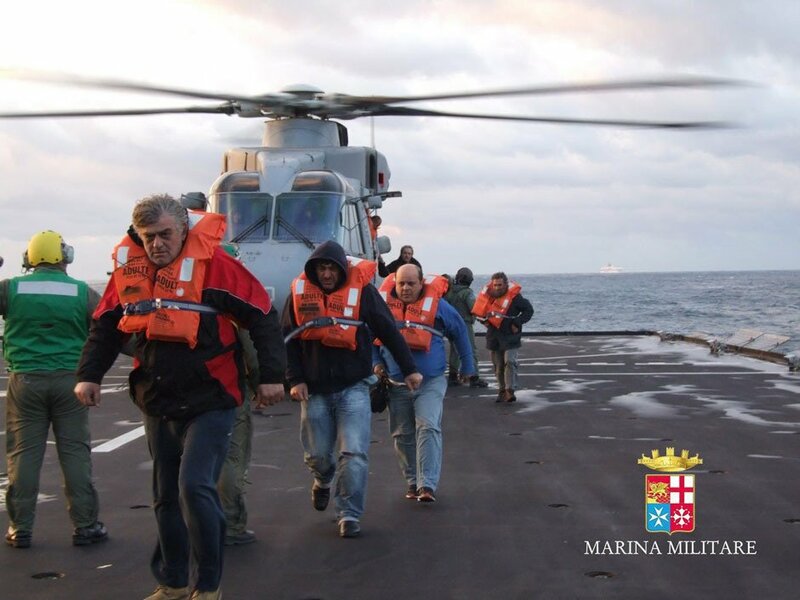 Captain Argilio Giacomazzi handed control of the stricken vessel to the Italian navy at 13:50 GMT on December 29. It is unclear what caused the fire to break out on December 28 on the car deck of the ferry. Italian prosecutors announced on December 29 that they had opened a criminal investigation into the fire and would look into whether negligence had played a role. Helicopters crews fitted with night vision equipment worked through the night to rescue passengers despite difficult conditions. Italian Air Force helicopter pilot Major Antonio Laneve told Italian state TV that “acrid smoke” had filled his helicopter cabin, making the rescue even more challenging. People were taken off the ship individually by helicopter, an Italian navy spokesperson said. Most of the rescued passengers were transferred to nearby ships, although some were taken directly to hospital. Three children and a pregnant woman were among those being treated in hospital for hypothermia, according to the Associated Press news agency. Coast Guard Adm Giovanni Pettorino said that a member of the Italian military had been injured during the rescue. A 62-year-old Greek man was the first of the fatalities to be recovered. He and his wife, who was injured, had fallen into the water as they tried to reach a lifeboat. Teodora Douli, 56, told Ansa news agency that her husband may have hit his head as he fell. “I tried to save him but I couldn’t,” she said. Another nine bodies were found later. Over 230 passengers and 34 crew members were Greek nationals. Barack Obama NPR interview: "Vladimir Putin was not so smart when annexed Crimea to Russia"